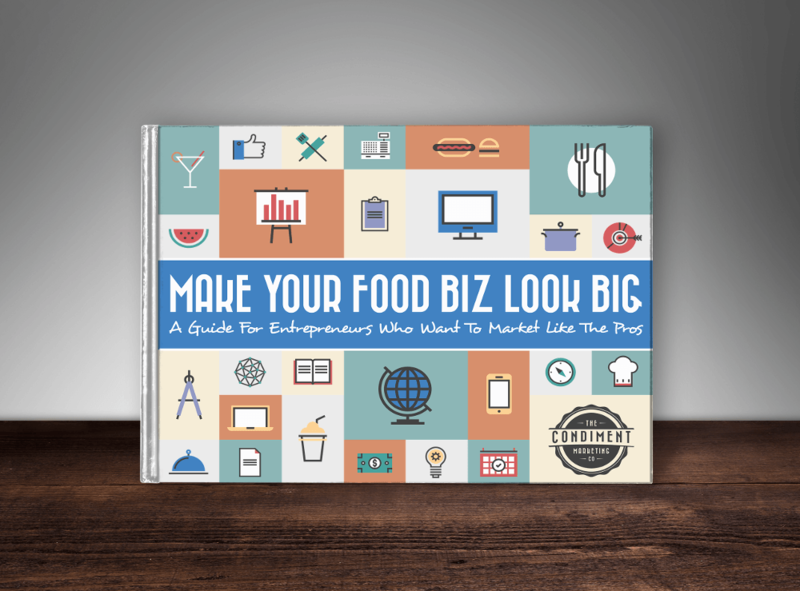 Not all food companies are ready to hire a marketing agency, and that’s exactly why we produced our food marketing book, Make Your Food Biz Look BIG, A Guide for Entrepreneurs Who Want to Market Like the Pros. This ebook is a close look at the exact process we follow with our clients and the basis of many talks we give. If you’re looking to take your food marketing into your own hands, start by downloading the food marketing ebook, Make Your Food Biz Look BIG. Order Your Copy from Gumroad! More About "Make Your Food Biz Look BIG"
2 – Food Business Lifecycle: What Stage Are You in Now? 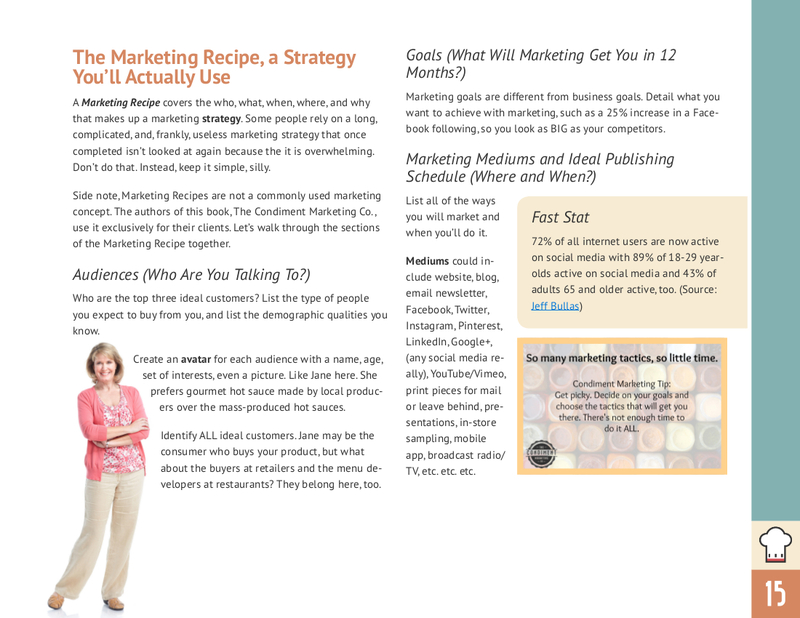 8 – About The Condiment Marketing Co.
“What a great book for small food companies to reference! 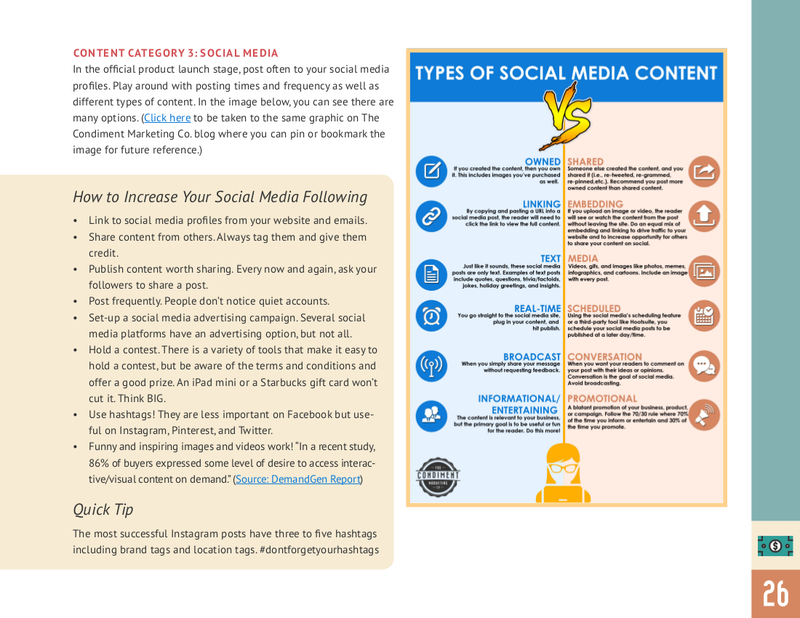 I recommend it to all of my food and drink clients.” –Amy Goldsmith, AEG Design Co.
Get your copy of The Condiment Marketing Co.’s ebook, Make Your Food Biz Look BIG, by clicking the button below and purchasing from Gumroad. At only $14.99, you’ll get an inexpensive resource that packs tons of value. What are you waiting for?